This text is based on a lecture for the Platform series at Bergen Kunsthall 10. February 2013. Doing research for my exhibition ‘Dead Language Poetry1, first installed at Bergen Kunsthall/No. 5 in 2013, I sifted through a vast range of subjects regarding language, some of which made it into the works of the exhibition - others fell into the background web of inspiration. 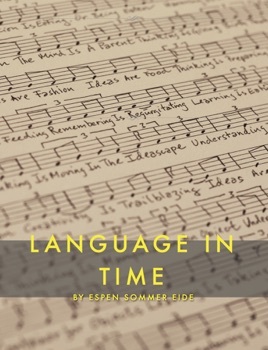 My long-term interest in language goes further back, to my days of studying the philosophy of language at the universities of Bergen and Tromsø, and also from years of working with the musical projects Alog and Phonophani. And as a sound designer for Verdensteatret, I have constantly explored new ways of warping and transforming the voices of the actors on stage.